I’m proud to announce a new feature for BootCraft (my searchable database of excellent group fitness workouts) called Featured Designers. Featured Designers are trainers from all around the world who I have asked to contribute 12 of their favourite drills to BootCraft. I’m hoping that by broadening our number of contributors to BootCraft we will get a better range of fresh, interesting ideas to choose from. This is just the first of many new features I have planned for BootCraft. 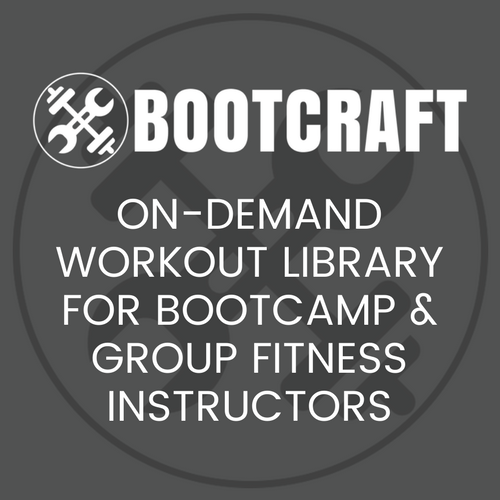 Jacob Bedard from Games Fitness is sharing 12 group fitness games and gamified drills on BootCraft over February (3 each week). Jake runs a bootcamp in Annapolis, Maryland, USA and has combined his passion for gaming with fitness to create more fun fitness options for trainers and everday people. On top of running GamesFitness.com he has also created a fitness card game inspired by the insanely popular Cards Against Humanity called Cards Against Obesity. He’s also created a cool product called Inboxercise that let’s trainers send free workouts to new prospects. It’s a different, useful way for trainers to interact with people before they are ready to become members. Jake really knows his stuff when it comes to making group fitness fun and I’m really excited to share his drills with you. To get access, sign up to BootCraft here.